Captured with the Sony RX0 / Slik Pro 824 tripod. Other then snapping photos around on my many adventures I absotuely love doing highlight videos on my travels. In 2018 the Sony RX0 has easily become my favorite behind the scenes photo and video camera. Captured with the Sony A7RIII / Sony Zeiss 35mm F1.4. 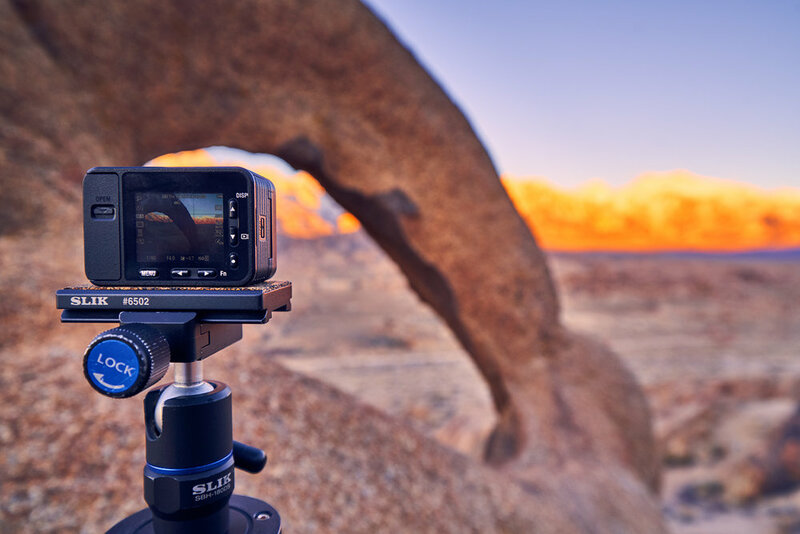 This past weekend I deliberately packed extra light bringing only my Sony A7RIII attached to a Sony Zeiss 35MM F1.4 and the RX0 to Alabama hills and Death Valley national park. 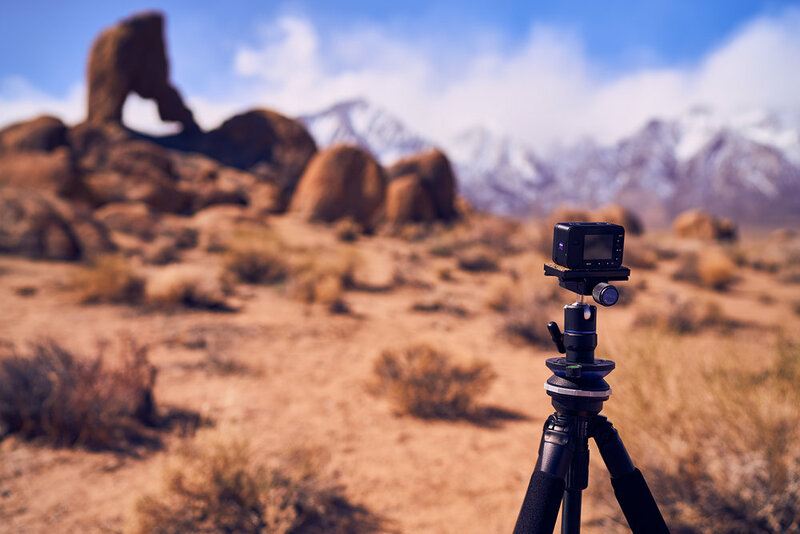 My goal was to take some cool photos with just the Sony RX0 entirely while shooting for a concept video out on the dune field showcasing its durability and ease of use. This little beast can be buried in the sand, stepped on, you name it! That's why I love this portable professional camera that fits in the palm of your hand. Video was shot in cine 2 pro / video program mode / 120FPS in 720p for slow motion when needed and up rez to 1080p. If you enjoyed this article and are interested in purchasing the gear used to create these memories please use the links provided under photos. You can also visit my gear page here. It won't cost you a penny more and you will be helping me continue to bring you stories of exploration and inspiration. Thanks again guys! If you need any advice on Sony RX0, don't hesitate to drop me a comment or contact me here.